Afternoon work - Website of saraonnebo! Working on my suspense novel THE WOLF, the second book in the Tulisaari trilogy. 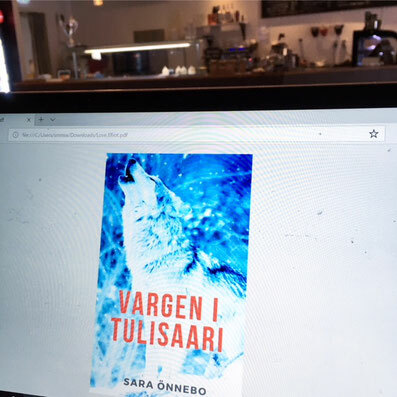 Also updating the cover for the Swedish version, Vargen i Tulisaari.